Many creative ideas begin in places where we least expect them. Musical Vibrations came about during a car journey. 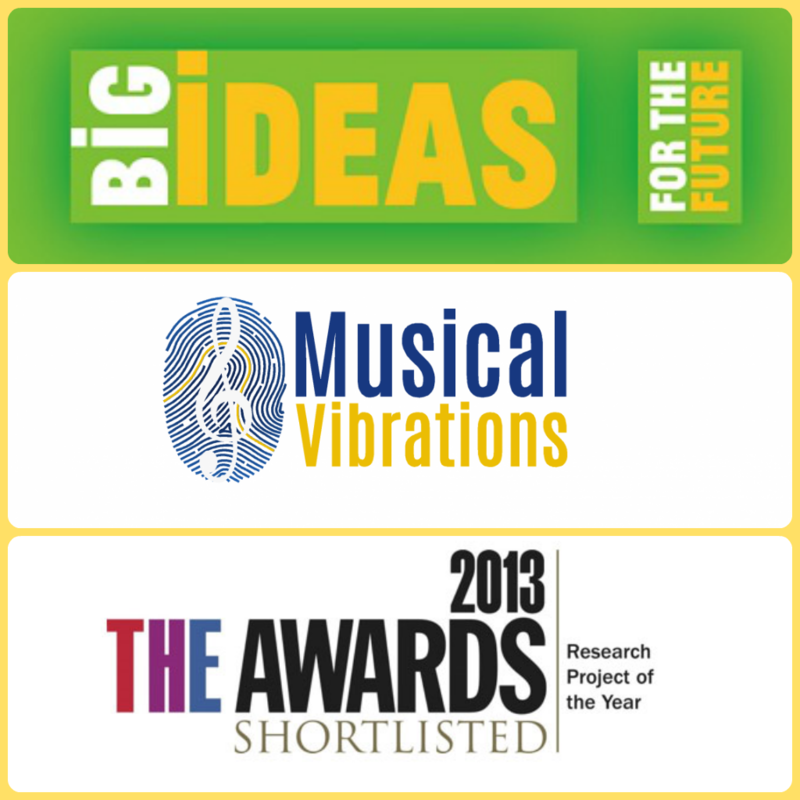 Professor Carl Hopkins, head of the Acoustics Research Unit (ARU) at the University of Liverpool, first dreamt up the idea that would result in the Musical Vibrations project when a radio broadcast in his car connected his research into floor vibration with the phenomenon of music being perceived as vibrations through the floor of a concert hall as described by Dame Evelyn Glennie. His initial thoughts were of designing performance decks around each instrument to maximise vibrational feedback and remove potential variations between different concert performance spaces. https://stream.liv.ac.uk/kgfymdz4 The video above summarises the concept outlined in the research, which was that it was possible for musicians to perform together successfully using vibrotactile feedback alone, i.e. without being able to see or hear each other. The video promoted the research findings to a much wider audience and had more than 1000 views in its first week online. To date, it has been viewed over 6,000 times. “Many years ago I was driving home from work listening to Dame Evelyn Glennie on the radio and she was giving an interview about how she used the vibration of the floor as feedback whilst playing. At the time I was carrying out research on floor vibration. It occurred to me that every time Dame Evelyn performed in a different concert hall, the floor would be different so she might never have the same feeling twice, or that she would find some floors unresponsive. Professor Carl Hopkins, Acoustics Research Unit, University of Liverpool – lead researcher.